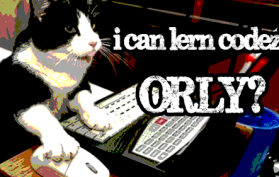 Learn the basics of programming using a simple programming language called LOLCODE. BOTH SAEM NEWDAY AN “Saturday”, O RLY? 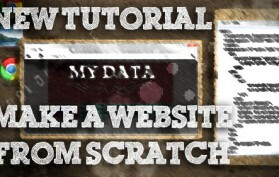 Many people on the internet aren’t familiar with how to make a decent website on the internet. In an effort to remedy that, this episode kicks off the first of a five part series explaining the different aspects of building a good looking, database driven website from scratch. In the final part 6 of this series, we will look at the connecting our website to our MySQL database. A database is an organized means of storing data and information. There are several different database software programs out there for creating database, but when it comes to websites, MySQL software is most widely used. In the MySQL software, databases are the top level of organization. You can have dozens of different databases depending on your computers storage capacity. Databases classify data into very broad subjects, such as “Financial Database” and “Office Database”. Within each database is a table. Tables are used to classify the data into common groups. For instance, in the “Office Database”, you could have a table for “Coworkers” and a table for “Shifts”. In each table are columns. Columns divide up the data into much more specific groups. Taking the “Coworkers” table from the “Office Database”, you can have columns for “ID”, “First Name”, “Last Name”, “Phone Number”, and “Address”. Within each column is a row or record of data. This is where the actual data goes. MySQL is a popular database for websites. Back in our episode of setting up a WAMP server, MySQL, along with PHP, was automatically installed on our server. 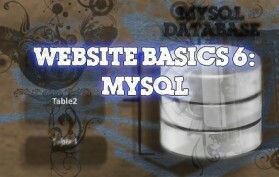 There are two main ways of creating databases in MySQL. The first is through using PHPMyAdmin. This is the most common interface for web hosting providers. If you were to purchase hosting space from someone, PHPMyAdmin would most likely be your database interface. The second method is through the MySQL command line. Although the command line may seem intimidating, it’s actually a much easier and faster method of setting up a database. But to make things simpler, we can use CREATE TABLE query and go ahead and attach our column query onto it. When creating columns, you have to include character specifications for each column so that the database knows which characters are and are not allowed. There’s four core types to choose from: numbers signified by the type INT (for integer), text and numbers signified by the type VARCHAR, text signified by the type TEXT, and date formats signified by the type DATE. For TEXT and VARCHAR types, you can also specify the number of characters allowed for each column. For instance, most first names are generally less than 20 characters long (the name “gigafide” is 8 characters long). So you can set the character limit for those types by adding it in parenthesis, such as VARCHAR(20). Keep in mind that if the characters are longer than that number, only 20 characters will be stored in the database. Now we have our database, table, and columns. All that’s left to do is add data to the columns. For inserting data, we will be using the INSERT INTO query. Then we just add the table name that we want, the columns that we will be inserting values into, and then the values themselves. Finally, to view what you’ve just created, you can use the SELECT query followed by an asterisk (*), which says to select all values. When dealing with passwords, it’s a good precaution to encrypt password values before they are inserted into the database. There are tons of different available encryptions out there, but the most common one when dealing with MySQL is called Md5. Encrypting a value using the Md5 encryption method is really simple. All you have to do is enclose the value that you want to encrypt with parenthesis and add md5 to the beginning of it. Below is an example where the password value has been encrypted. Be aware that if you want to compare any values to the encrypted database value, the compared value will need to be encrypted as well or else it will not match up with what is in the database. If you want to use the data in our database with your webpage, you will need to create a script that connects it to your database. The most common language used for interfacing a website with a database is PHP. This is because PHP has a lot of built in functions that makes it easy to get information from databases. For example, to log into a database, you can use a function called mysql_connect and it takes the parameters of your server location, you server username, and your server password. If you are running a WAMP server, your server location will be localhost. Otherwise, it will probably be an IP address or URL of some sort. To test connectivity, you will need to set this function equal to a PHP variable and then add it to an IF statement to see if there are any errors upon connection. If there are, you can have it return any errors using the mysql_error() function. Otherwise, you can select the database you want to use. This can be done using the mysql_select_db function using your database name and the mysql_connect variable. The full final connection script should look something like this. echo “Welcome, ” . $_POST[“username”] . “! You are now logged in. The variables store the valid password and the password sent from the form. Since the valid password is now in the database, we can remove the the $mypass variable and replace it with a $usercheck variable that stores the username sent from the form. Next we need to create a database query that checks to see if the submitted username is actually in the database. We can use the PHP mysql_query function along with the SELECT * FROM query. Then we set the select parameters WHERE the username is equal to the usercheck variable from the form. Then you can set that entire query equal to a variable. After that, before checking the password, you need to actually run the query and see if it returns any results. So you can use an IF statement to see if it returns a row. If it does, then you can run the password verification script. If not, then you can echo a result saying that the password is wrong. In order to check the submitted password variable with the password from the database, we need to assign the row that was found to an array variable using the mysql_fetch_array function. This will allow us to select any column from that record. So the column that we want is the password column. To access it, you just type the $record variable followed by the column in question. Then you can add your page theme or template. For the content, you want to run an INSERT query using the variables sent from the form. Before adding the password, however, make sure that it is first encrypted using md5. Then assing this query to a variable, and run it through an IF statement to execute it. If it fails, then display the error. If it succeeds then you can echo “User Added”. A good way to show data from a database on a webpage is by displaying it in an HTML table. The first step in this process is to create a SQL query variable that selects the table or data that you want to display. The next step is to use PHP to echo an HTML table with one row and two columns: One for User ID and one for Username. We want to add more rows, but we want the rows to be equal to the amount of data records returned from the query. The most effective way to do this is to put the row HTML within a while loop so that it loops a new row for each record until there are no more records. Then display the results in the columns using record array. Pay close attention to the echo statements and how you have to make sure the PHP code is not enclosed within an echo statement. Each line of the new row within the while loop as it’s own echo statement. Here is the final code for the pages used in this tutorial. 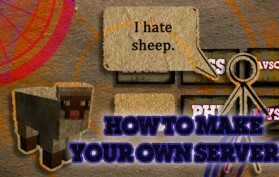 You can combine these with pages from other tutorials that are not included here. 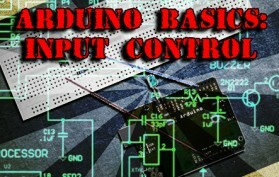 <a href="index.php">Click here</a> to return to the main page. 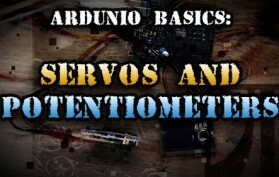 In part 5 of this series, we will look at the basics of using PHP and adding its functionality to our site. Notice how the “echo” command is terminated by a semi-colon. Apart from conditional statements, all PHP code should end with a semi-colon. If an echo statement contains HTML code that has quotation marks (“), you will need to replace them with apostrophes (‘). This prevents confusion when processing the PHP code. A conditional statement is a section of code whose output is dependent on certain conditions. In PHP, this is charactarized by an “if” statement. An “if” statement will output a result if certain conditions are met. The syntax of an “if” statement starts with if followed by the conditions in a set of parenthesis. Immediately following this, you will put the line of code to be executed if the conditions are met. If you have more than one condition to be executed, you can enclose the code to be executed within curly brackets. If the conditions are not met, you can add an “else” statement after the “if” statement. The else statement can contain code to be executed if the conditions are not met. A great benefit that PHP offers is the ability to import HTML or PHP code into your page from a separate file. This is through a function called the include command. Include is often used when creating website templates. [WordPress] is a common platform that makes regular use of the include function for its templates. Here is how it works. 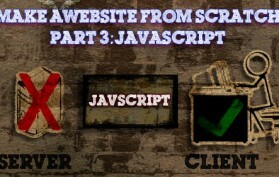 Create a seperate page (both html and php pages will work) and put a section of HTML code in it. Then, on your main webpage, place the PHP include function with the seperate pages name wherever you want it to appear on the main webpage. This is a good method of keeping a website organized. If you have a section of your website (such as a navigation menu) that stays static throughout your website, you can use it as an include webpage instead. This will shorten the websites code significantly, as well as allow you to only have to modify one page. Think of it this way: if you have 100 pages on your website,and they all had a common menu, it would be a tedious task to edit 100 menus. 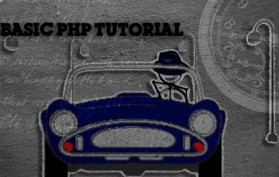 With PHP, you can include one menu in 100 pages, and edit one menu to complete the task. If you’re going to create a website that requires a user to enter information, it’s almost a necessity to store that information somewhere so that the user doesn’t have to enter it again and so that it can be recalled later and used elsewhere in the site. In PHP, there are two methods of storing a users information. One is Cookies and the Other is Sessions. Cookies are a means of storing a user’s information so that the user doesn’t have to enter in the same information again. For instance, websites commonly store a cookie of your username and password so that you don’t have to keep logging in to the website everytime you visit. Cookies store the information on the client’s computer as a small file. If the website needs to recall that information later, it can open up the cookie and read the information stored there. Let’s say you want store information from a form to a cookie. First you need to create a cookie using “setcookie” parameter, then give it a name, the value you want to store, and the time before it expires. To use the cookie information in a conditional statement, you want to use the ISSET command to check and see if there is information stored in the cookie. If there is information stored in it, you can execute one set of commands. 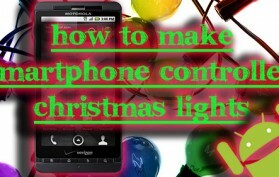 IF there is not information stored in it, you can execute another set of commands. Finally, if you want to delete the cookie information (such as to create a “log out” page), essentially you just set the cookie expiration date to a negative value. Sessions are another means of storing users information. Except, unlike Cookies, they store information on the server as opposed to the clients computer. To start a session, you have to put a session_start script at the beginning of every webpage that uses session information (above the opening HTML tag). Session information can then be stored to $_SESSION variables the same way you would store any other variable. Then you can recall the session information by simply using the variable name you created. Here’s an example. Similar to the cookie example above, you can use Session information in an if statement by adding the ISSET command. And then finally, to stop storing information for a session (and to forget the stored information), you can add a session_destroy command underneath the session_start command for your logout page. After completeing the tutorial, you should have something similar to the code below. Please use this code for reference and correction. In part 4 of this series, we will look at the basics of creating a MySQL database that will store the content for our website. Help support my channel: http://www.patreon.com/tinkernut Follow Tinkernut! Though not required for simple scripts, it’s also a good idea to divide sections of your script into “blocks”, which are charactarized by opening and closing curly brackets. They are required for functions. Following this format, you can call other functions such as “value” to return the value of the element, or “innerHTML”, which will overwrite the element with HTML code. You can find examples of both in the final code below. The results of this code would be “My Name is Gigafide”. If you want to display only the year or the date, you would need to assign a variable to the date object and then call either getFullYear(), getTime(), or getDay() depending on your need. “Redirecting” a page is a means of having a webpage auto-forward to a different webpage. A good reason to use this would be for if you are making changes to your web page and you want users to be redirected to a temporary page until your changes are finished. The “text-decoration”, in this example, is known as the style property. There are lots of different sytle properties that go with different types of tags. The “none” in this example is the value given for the style property. In this case, we are saying that we don’t want any text-decoration. Overall, the inline syntax of CSS is very similar to HTML tag attributes. When it comes to structure, CSS uses boxes to accomplish a pages layout. This has come to replace basic HTML tables. After completeing the tutorial, you should have something similar to the code below. Please use this code for reference and correction. There are three files, the first one is index.html, which is the HTML code for the main page in your website. The second one is style.css, which is the CSS code referenced in the index.html webpage. 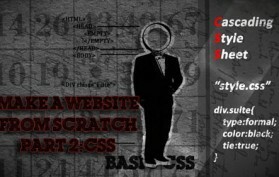 In Part 1 of this series, we will take a look at HTML basics. HTML stands for Hyper Text Markup Language and provides the backbone structure for webpages. Not to be confused with a programming language, HTML is a markup language that was designed to link documents and media together in an interactive way. HTML is standardized through W3C and the latest version is HTML 4.01 (see http://www.w3.org/TR/html401/). HTML is evolving constantly and presently there are 2 important variations eg XHTML and HTML5. HTML/XHTML/HTML5 have different Doctype Definitions (DTD’s) to be identified by browsers. For standards compliant HTML a web page needs a valid DTD (at the top of the html page). For information on valid DTD’s, see http://www.w3.org/QA/2002/04/valid-dtd-list.html. There is a large selection of software available on the market (free and paid) directed towards website creation. A majority of website creation software is called What You See Is What You Get or WYSIWYG. A good example of commercial software is Adobe’s Dreamweaver, while a good example of open source software is Mozilla’s Kompozer software. Despite the availability of web design software, it is not required to create a website. A website can be created using a basic text editor and a web browser for previewing. HTML utilizes an element tagging structure. This means that every element of the code is tagged so that the web browser knows how to translate it. With a few exceptions, each tag generally comes in pairs: and opening tag and a closing tag. In between each tag is the content that is being tagged. Certain tags can also contain attributes, which enhances the properties of the tagged content. Each table begins and ends with the <table></table> tags. Before the table will work, you must have at least one row and one column. Nested between the table tags are the row tags <tr></tr>. You must have at least one row in each table in order for it to function properly. Each row must have at least one column nested within it. Nested between the row tags are data cell tags <td></td>. You must have at least one data cell in each row. Although these are commonly know as “column” tags, they represent cells. A cell can exist without a column, but a column cannot exist without a cell.